Peanuts were first grown commercially in the early 1800s in North Carolina and Virginia, but the first notable consumption didn’t occur until the outbreak of the Civil War where they were used as food by soldiers on both sides. By the last half of the century, peanuts were a popular snack sold by street vendors, at baseball games, and circuses. Contrary to what some believe, it was not George Washington Carver that invented peanut butter. While Dr. Carver discovered more than three hundred uses for this popular legume, the precursor to peanut butter as we know it today got its beginning in 1884 when Marcellus Gilmore Edson of Canada was issued a patent for the finished product of his method of milling roasted peanuts. At first, peanut butter was hand made by some physicians as an alternative high protein food for geriatric patients with bad or no teeth. In 1895, Dr. John Harvey Kellogg (of the Kellogg cereal fame) patented his own method of creating peanut butter using steamed nuts, which he served to patients of his Battle Creek Sanitarium. The next year, Joseph Lambert, an employee of Dr. Kellogg, began making and selling a hand-operated peanut grinder to housewives who wanted to make peanut butter for their own families. Three years later his wife, Almeeta, published The Complete Guide to Nut Cookery, America’s first nut cookbook. Then in 1903, Dr. Ambrose Straub of St. Louis patented a peanut butter-making machine. Later that year, Bayle Food Products bought the commercial rights to Dr. Straub’s process and in 1904 introduced their new product to visitors of the St. Louis World Fair. Selling samples for one penny each, Bayle Foods sold out in just three days earning $705 and put them on the path to becoming Americas first peanut butter vendor. Soon peanut butter was available at grocers all across the country. The first known reference to the traditional peanut butter and jelly sandwich was published in an article by Julia Davis Chandler in the Boston Cooking School of Culinary Science and Domestic Economics in 1901. At that time, peanut butter was considered a delicacy enjoyed by aristocrats in America’s finest tearooms and upscale affairs in some rather exotic ways–peanut butter and watercress; peanut butter and pimento; peanut butter spiced with paprika and Worcestershire sauce. By 1914 there were a number of companies making peanut butter, including Krema Products Company in Columbus, Ohio, the oldest peanut butter company still in operation today. There were also several sandwiches made with peanut butter and fruits ranging from apples, raisins, and prunes to bananas and cherries. There were peanut butter sandwiches with honey and maple syrup and, of course, various jams. Despite its popularity, early peanut butters had freshness problems. Since peanut oil has an extremely low melting point, peanut butter kept at room temperature would separate, oxidize and turn rancid. Also, salt added to the product to enhance flavor would separate and crystallize. Therefore, peanut butter, which was sold to grocers in tubs, had to be stirred frequently to prevent the problem. During the 1920s, Joseph L. Rosefield, a food businessman and industry innovator, began experimenting with ways of preventing oil separation and spoilage. He found that replacing eighteen percent of the product’s natural oil with hydrogenated oil allowed for a thicker, more creamy peanut butter that didn’t separate. It also did not stick to the roof of the mouth as badly as previous products. 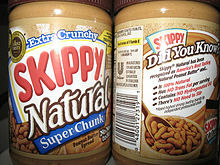 By 1932, he introduced “Skippy” brand peanut butter, named after a children’s comic strip. Three years later, his company came out with the first wide-mouth peanut butter jar, which too became a standard with the industry. During World War II, peanut butter and jelly were part of U.S. soldiers’ rations. On the homefront, food rationing was commonplace during the War with meats and dairy products scarce and expensive. Peanut butter on the other hand was a cheap, readily available source of protein, just as during the Great Depression of the 1930s. Not only has the salty-sweet flavor of peanut butter and jelly sandwiches become a mainstay of the American diet for the past sixty years, for many people, its preparation has become a sacred ritual–the kind of bread, jelly, or jam that is used (grape is the number one choice), even the way it is cut (40% diagonal, 31% horizontal). Twenty-five percent don’t cut their sandwich as all, and another one in four have to have the crust removed. 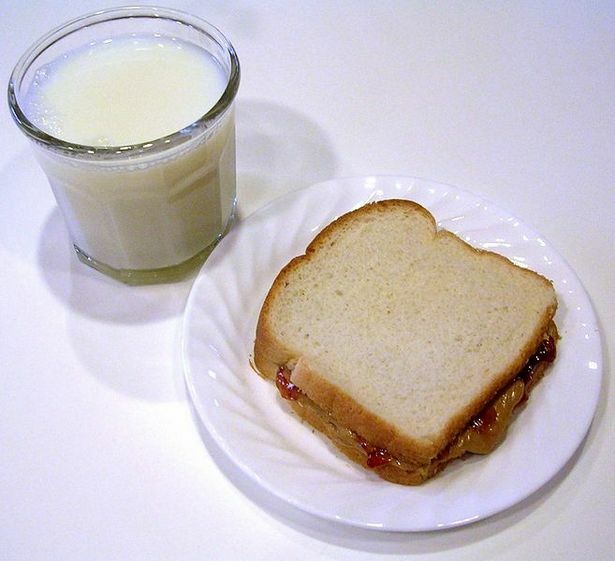 Any way you slice it, the average child in America will consume 1,500 peanut butter and jelly sandwiches before he or she graduates high school making it America’s most popular children’s sandwich. 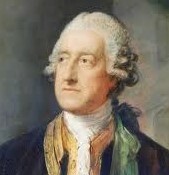 We’ve all heard the popular story of how in 1762 a hungry John Montague, Earl of Sandwich, ordered some meat stuffed between two pieces of bread in order to continue playing a game of cards. The idea caught on and the sandwich was born. But it would be some 160 years later, with the advent of affordable bread and inexpensive processed cheese, before the modern grilled cheese sandwich would debut. The first “grilled cheese” sandwiches were actually cooked open-faced with grated “American” cheddar cheese on a single slice of bread. Naval cookbooks from World War II indicate that sailors aboard our ships were served hundreds of broiled “American cheese filling sandwiches.” This was probably because not only was this sandwich economical, it also met the government nutritional standards. By the 1950s, these delicious and economical sandwiches were served in school cafeterias throughout the country as part of a healthy meal, usually accompanied with a bowl of tomato soup. At some point, perhaps the early 60s, a second slice of bread became a standard ingredient, most likely because it was the cheapest way to make the sandwich more filling. 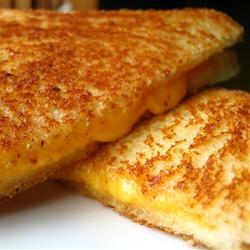 Today, the classic grilled cheese sandwich has been transformed into a gourmet delight. From substituting focaccia, ciabatta, or other artisanal breads for pre-sliced white bread, to using gruyere, havarti, or smoked gouda instead of American. We’ve also given this sandwich an extra touch of class by adding such items as bacon, nuts, avocados, heirloom tomatoes, and pesto. So whether it’s the quintessential American version or one of the many gourmet varieties, the fact is everyone loves grilled cheese sandwiches. If you are of one these more than two billion folks who each year crave this iconic wonder, here are three outstanding recipes to try. And for those who can’t boil water without burning it, or just feel like letting someone else do the cooking, we’ve included some great places that specialize in America’s favorite sandwich.